There were five men going to church and it started to rain. The four that ran got wet and the one that stood still stayed dry. How did the one stay dry? It was a body in a coffin with the bearers. 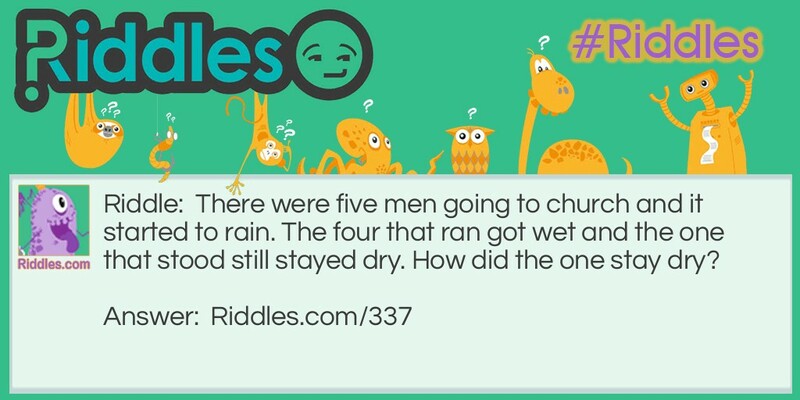 Rainy Church Day Riddle Meme with riddle and answer page link.